How do I create a recurring event – Customer Feedback for YunaSoft Inc.
AwesomeCal supports almost types of the recurring rules. It is very flexible and customizable. First, let's see an event window, you can find the button of the recurring event looks like 2 rounding arrows on the bottom bar. You can make every n-th days repeating event. 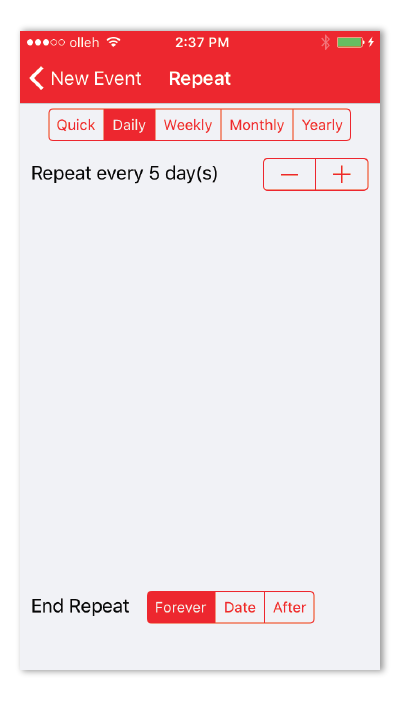 For example, if you set this value to 5, event will be repeated every 5 days. This option may be convenient day-shift workers. 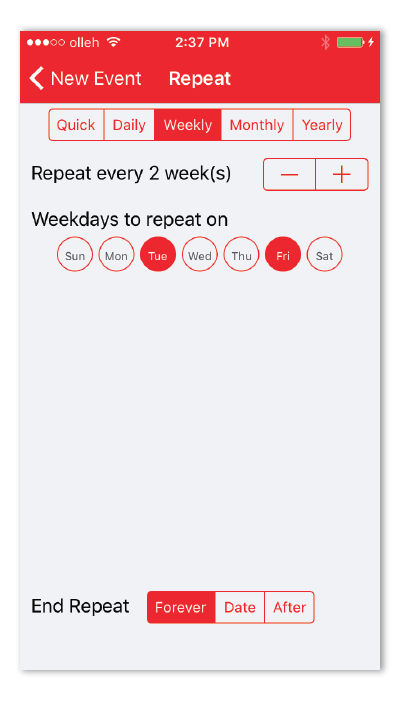 If you want to repeat an event on certain weekdays, this option is for you. For example, if you choose Tuesday and Friday, event will be repeated every Tuesday and Friday. Moreover, you can set a interval of week. In below image, user will have event repeating every two weeks on Tuesday and Friday. 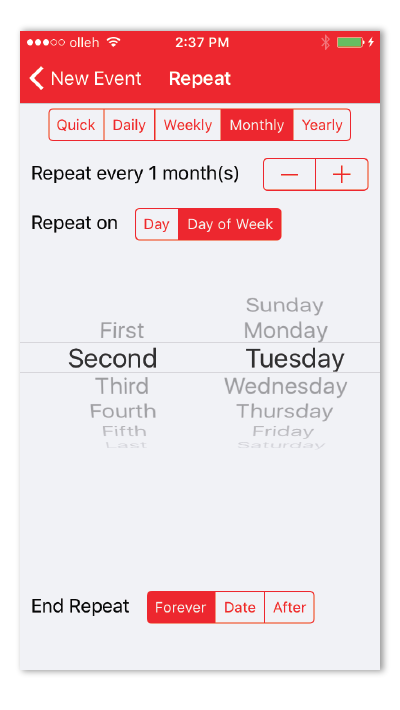 With monthly repeating rule, you can set repeating rule like every "Second Tuesday". You can also set every "12th". If you want to make annual event like birthday, wedding anniversary? Then use yearly option. 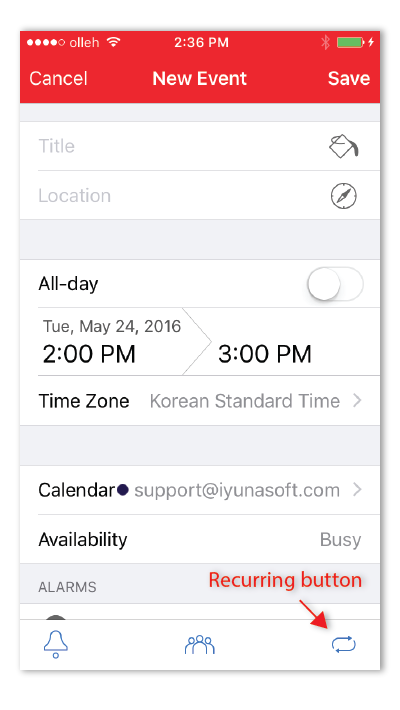 By default, recurring event set to "forever" but you can also set up end date or number of occurrences.